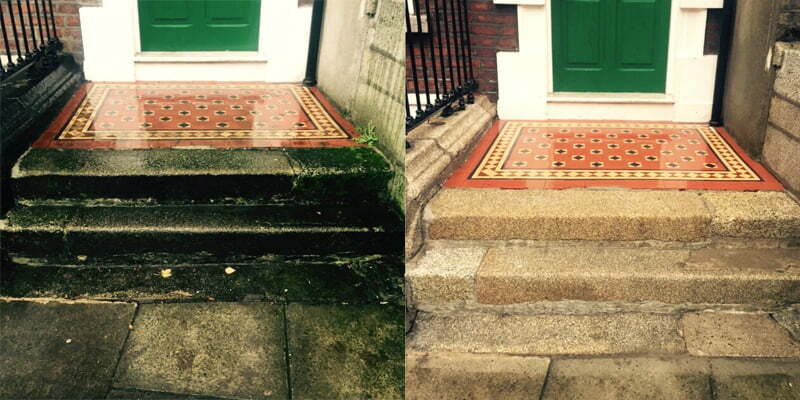 P Mac restored the granite step entrance at Charter House on St Stephen’s Green, Dublin, to its original beauty. 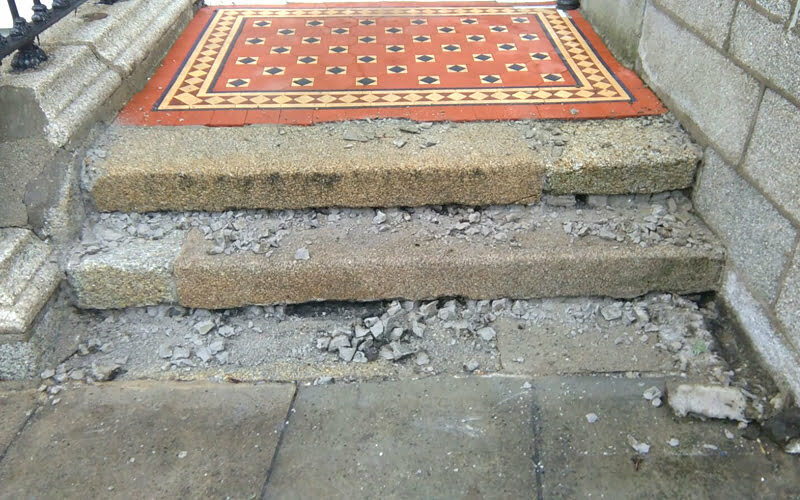 The client contacted us looking for a solution to restore the entrance at this very prestigious address because water was getting in and causing damage in the basement. 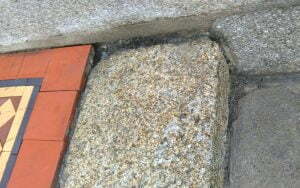 The granite steps were badly contaminated, with a build up of carbon deposits, algaecide and general dirt. 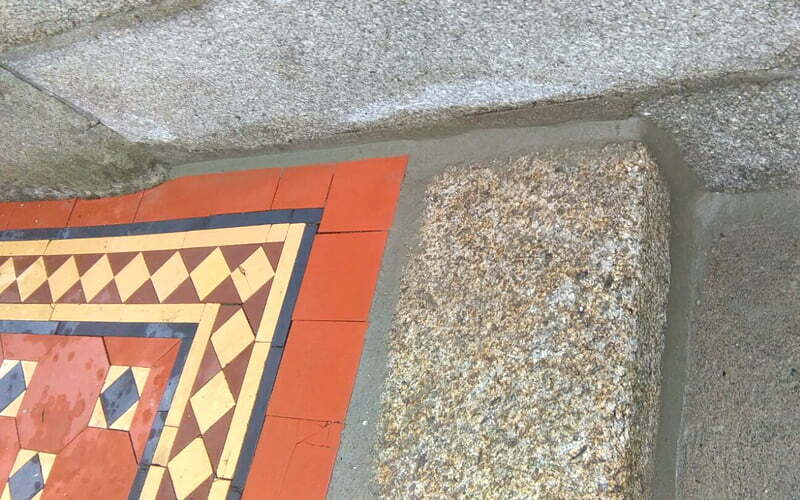 The plinth wall had been painted black at some stage, masking the natural beauty of the granite walls. 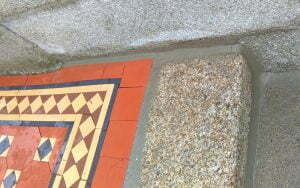 P Mac surveyed the site and assessed that water was getting in through cracks in the steps where pointing was missing. 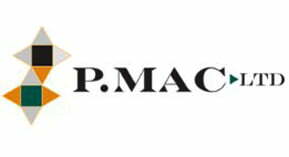 In order to assess the damage completely, P Mac initially cleaned the granite steps. Low pressure, high temperature steam was the method used to remove all deposits – ensuring that no additional water leaked down into the basement. 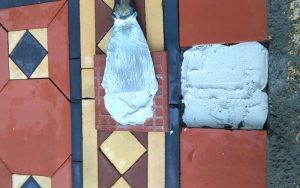 This also avoids the heavy use of chemicals required to clean the stone, although chemicals had to be applied to the plinth wall to remove the black paint. 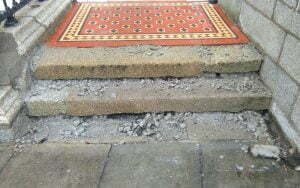 Once the steps were cleaned the steps could be assessed for repairs. 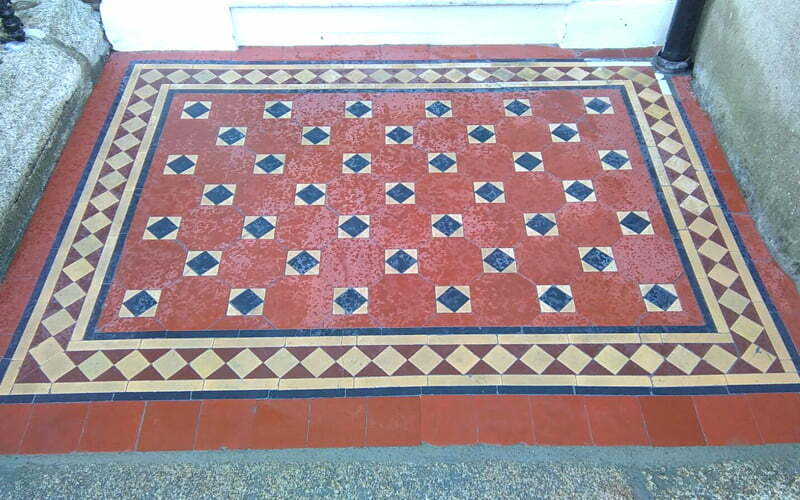 It was evident the steps had been patch pointed and partly repaired over their long history. 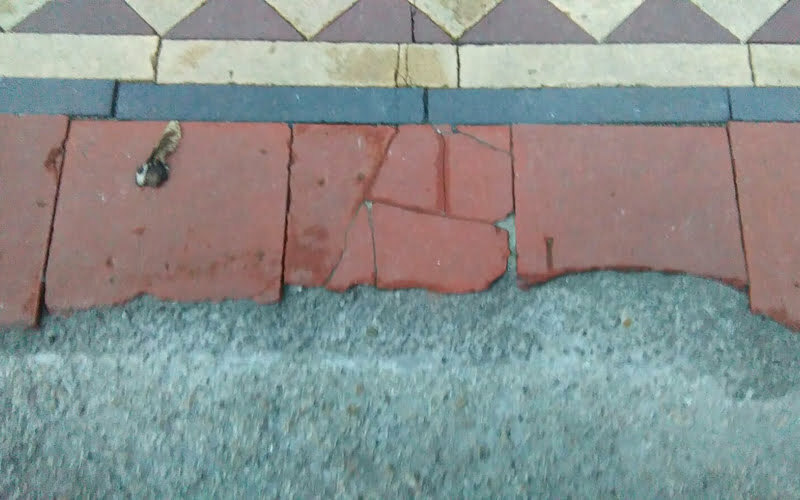 In order to solve the very urgent matter of the leaking basement, it was decided to rake out all mortar joints and re-point them. Repairs were done over the weekend to ensure no disturbance to users of the building. 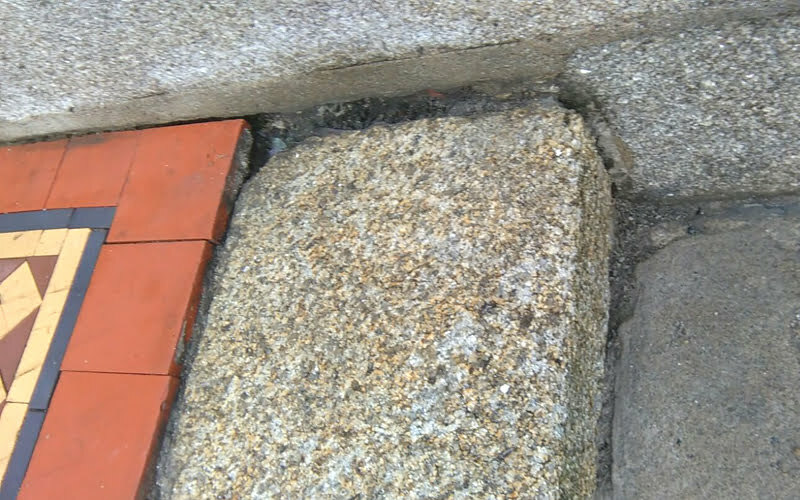 Once the granite steps and plinth wall were cleaned and repaired, the transformation was amazing and the client was astounded at the difference it made. 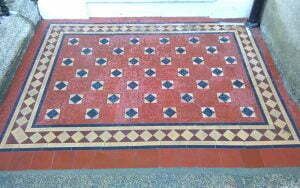 The top of the steps are graced with a gorgeous decorative quarry tile mat. 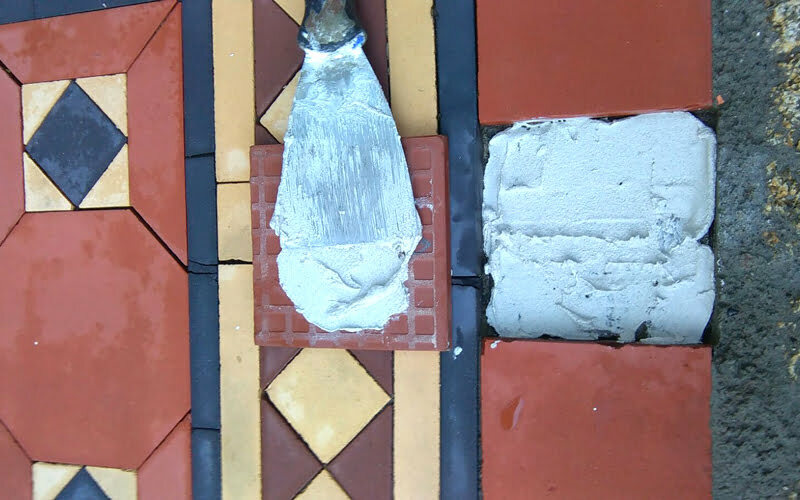 The cleaning had revealed cracks and disintegrating tiles, so we sourced tiles to match the existing ones. 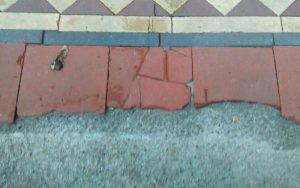 Our restoration team raked out and lifted the damaged tiles, then cut and shaped the replacement tiles and re-bedded them. 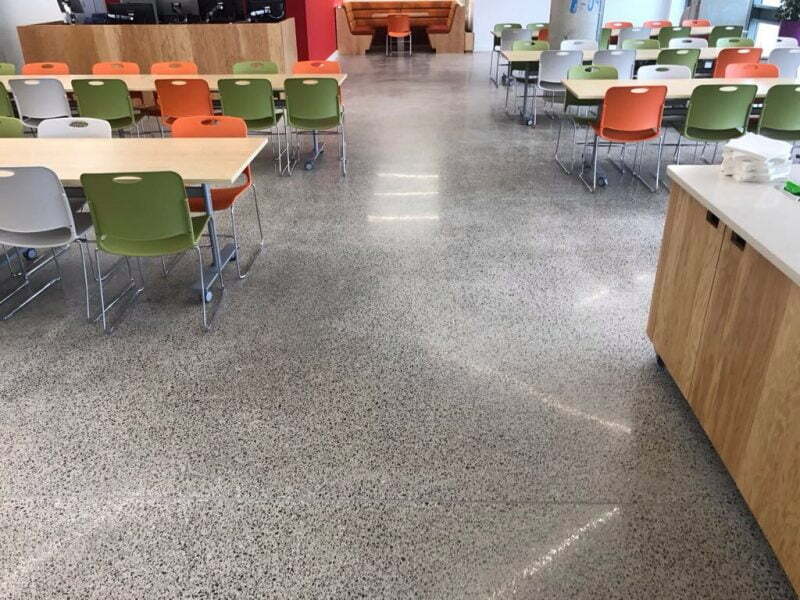 The final result is stunning and this is another Heritage job that P Mac are very proud of!